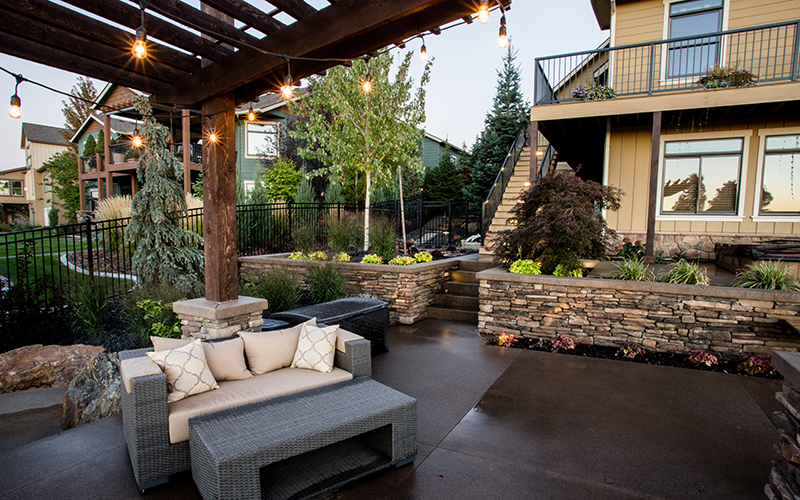 This back yard in Legacy Ridge got a lot more fun with a complete back yard makeover. 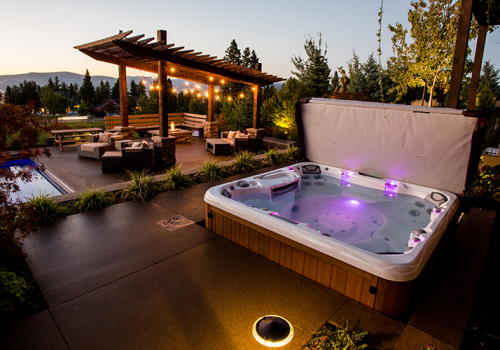 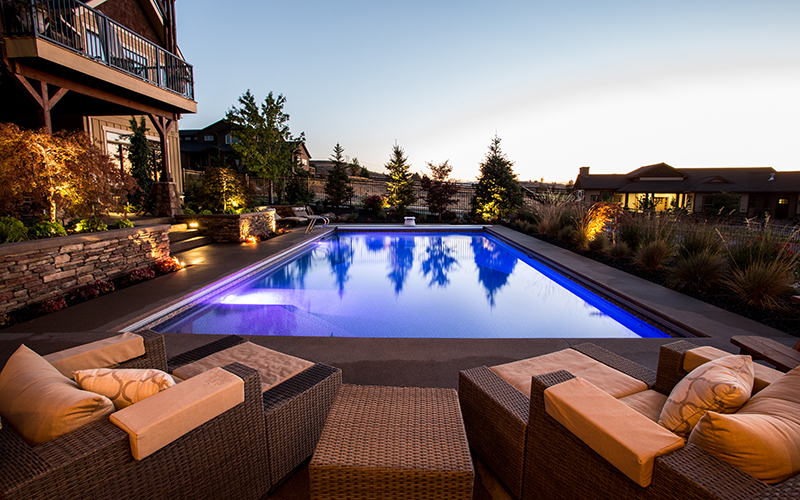 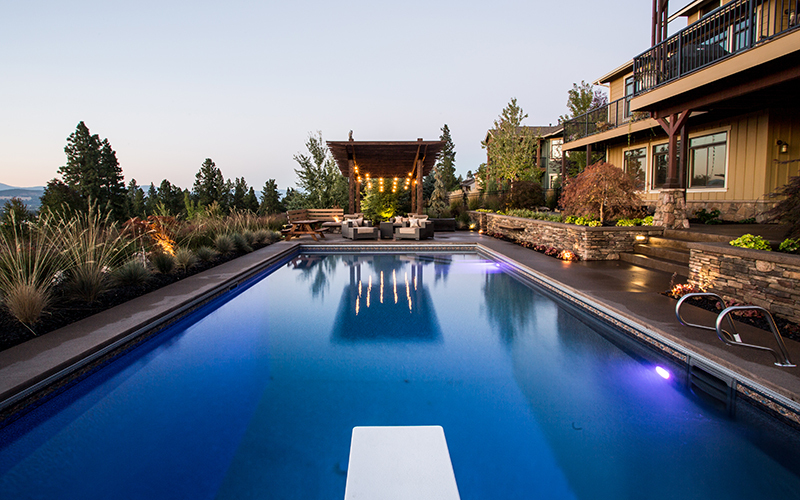 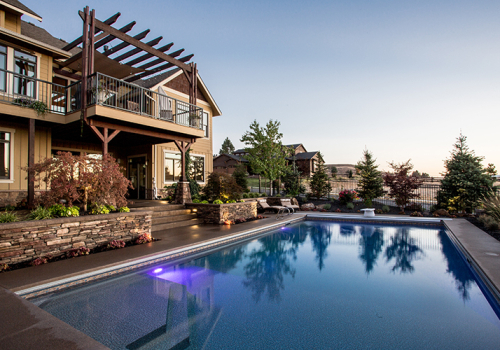 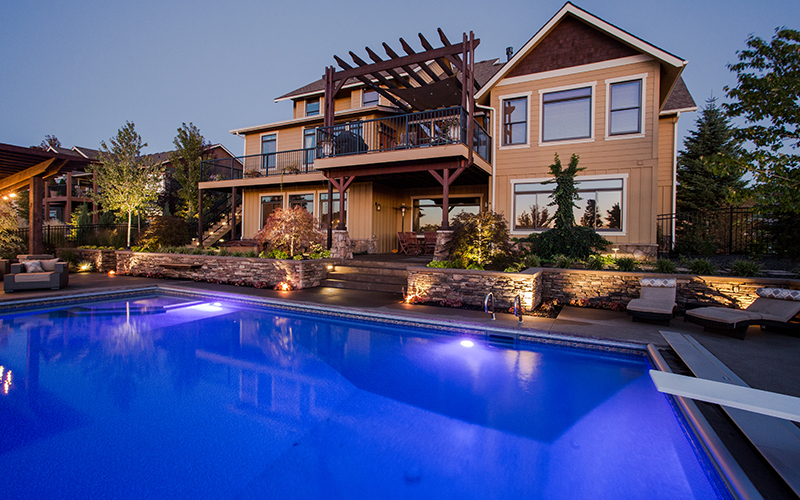 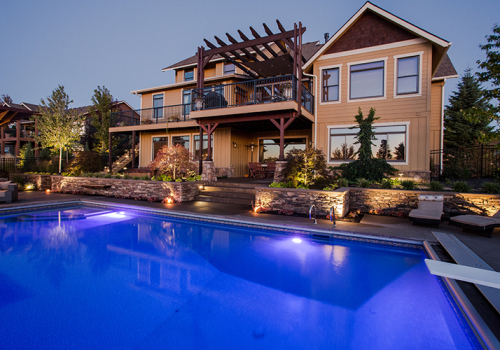 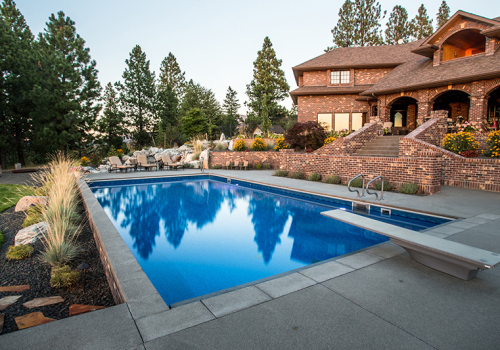 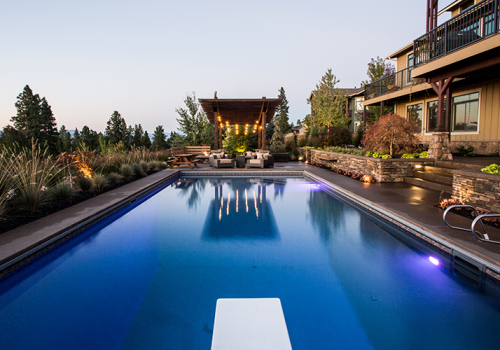 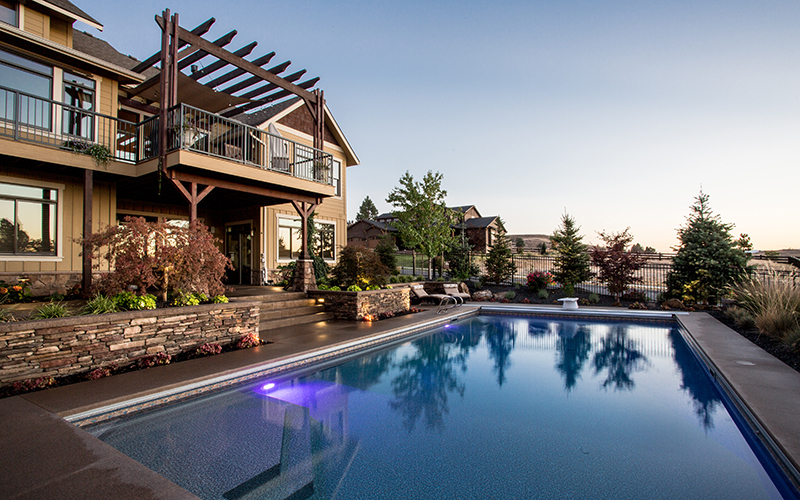 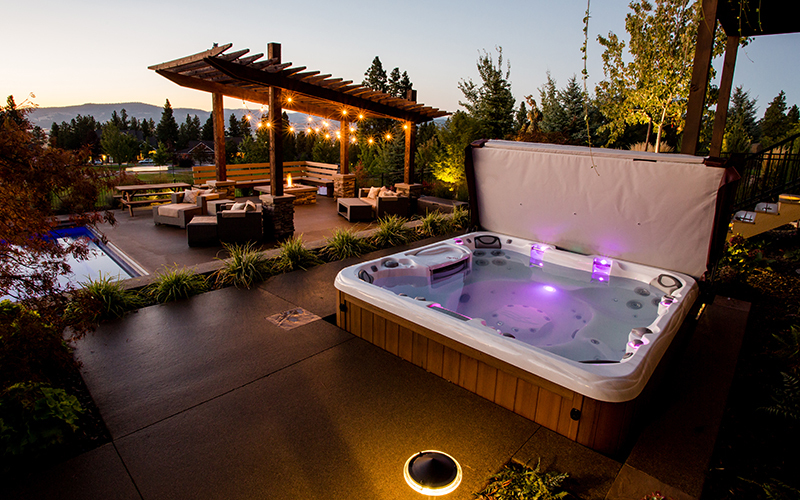 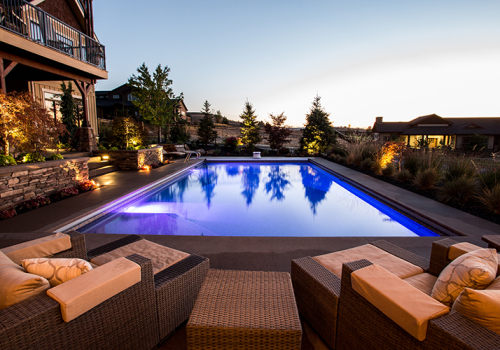 A new pool provides plenty of space to play all summer, and the countersunk hot tub carries that fun through the winter. 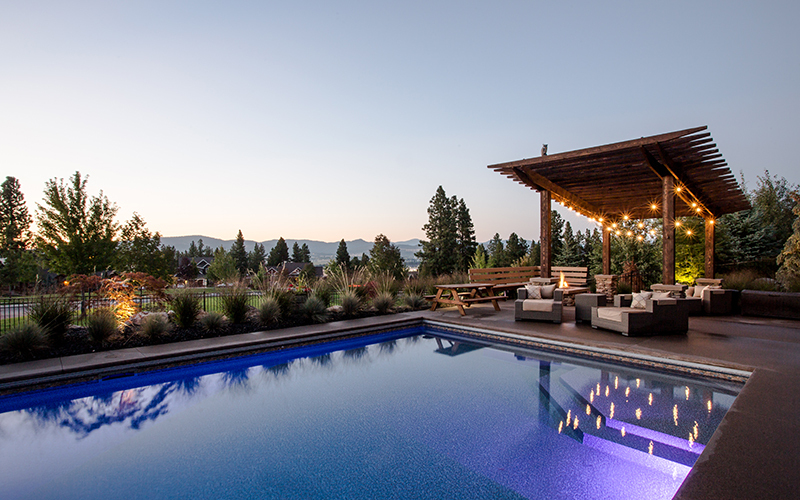 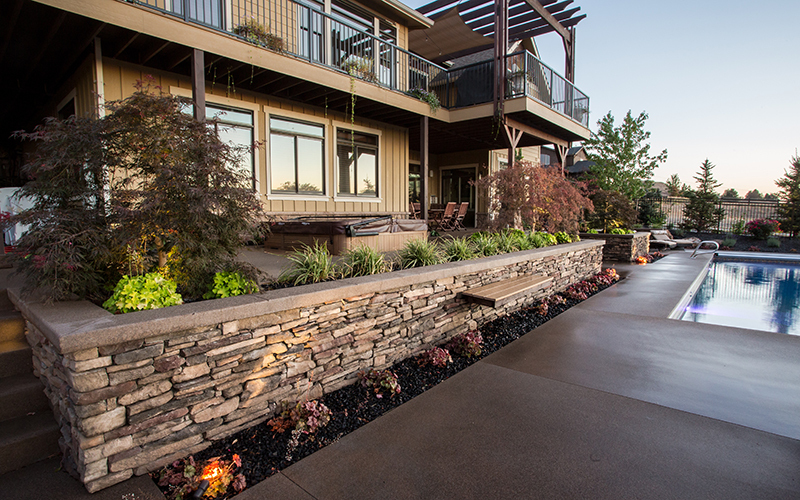 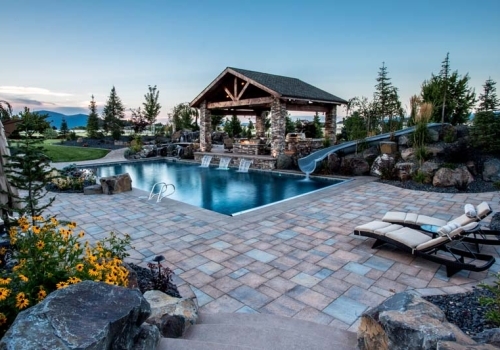 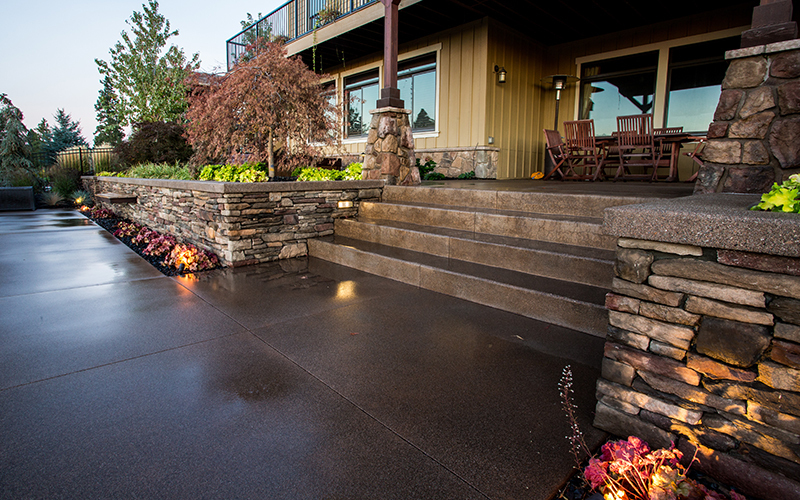 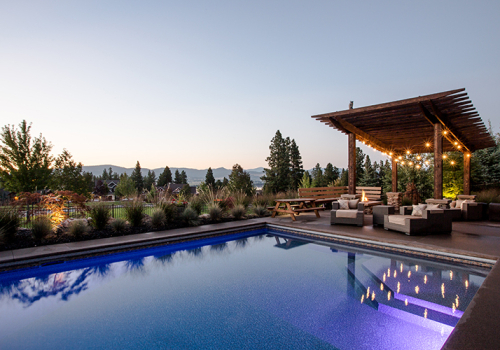 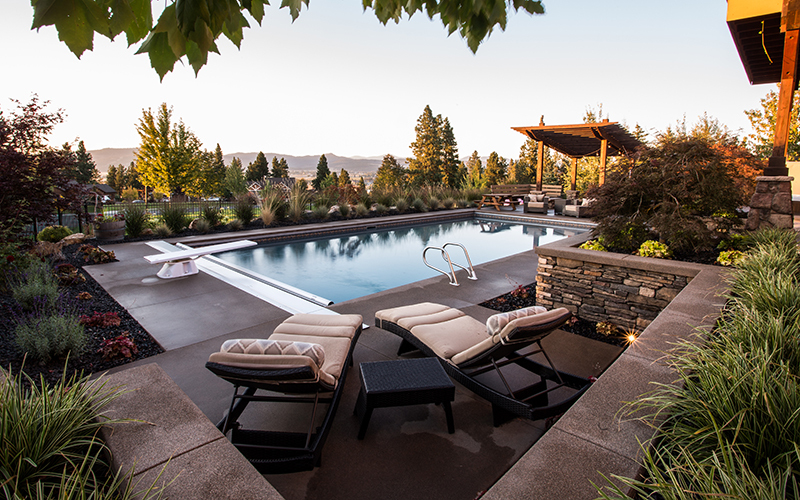 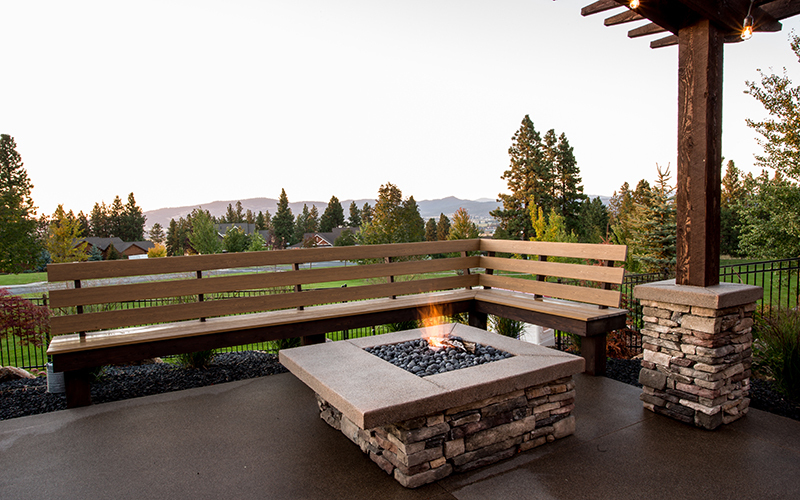 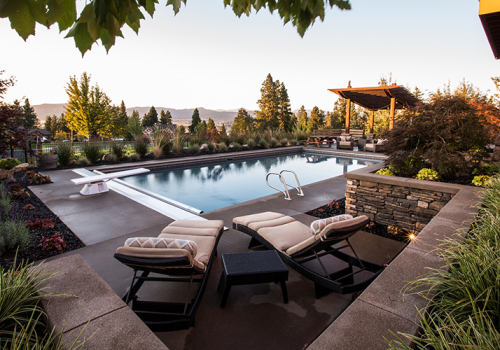 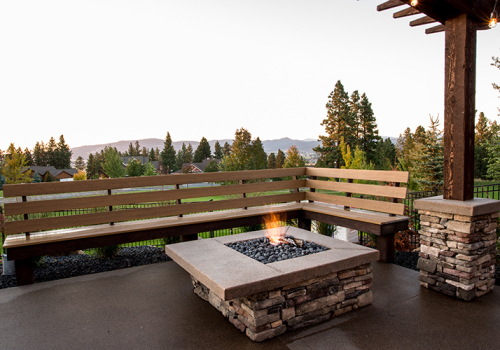 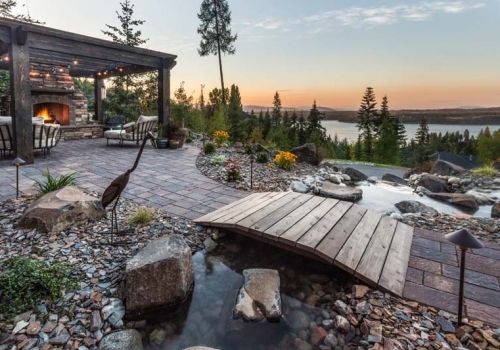 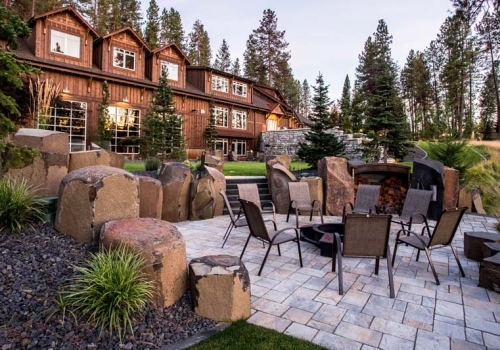 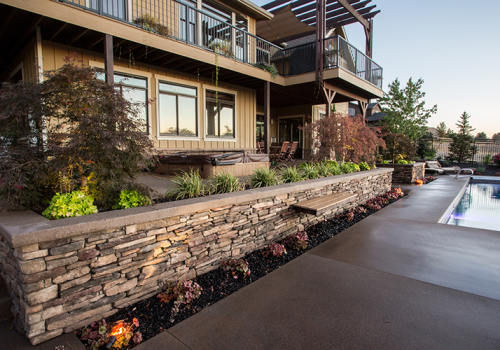 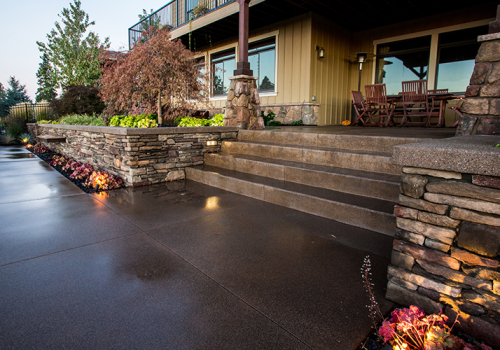 A masonry fire pit provides a great spot to enjoy the view in the evening while staying close to all the activity. 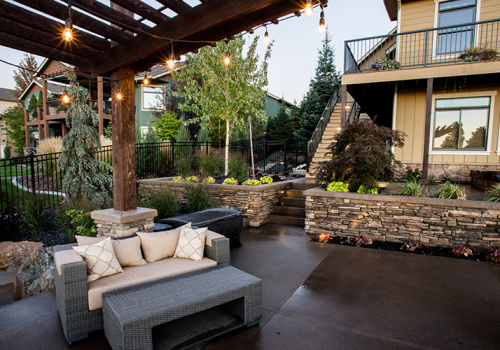 A timber pergola to match the existing woodworking on the house makes the space just as enjoyable when the sun’s out.